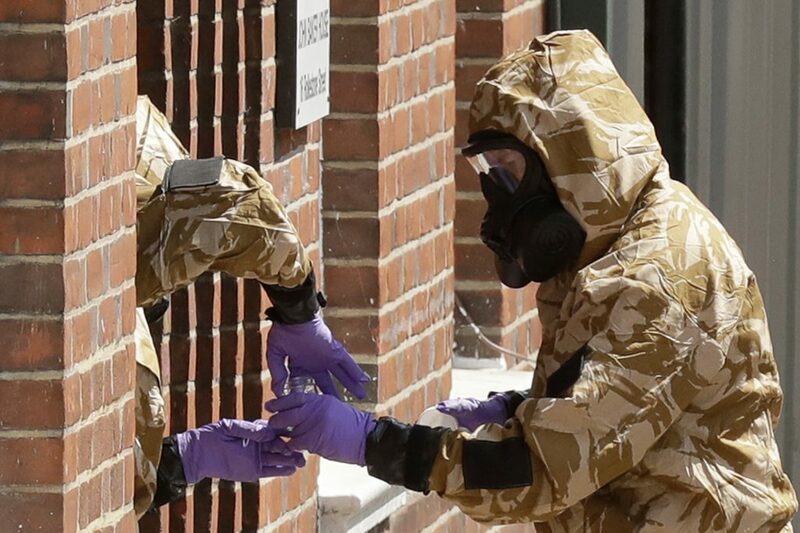 A police officer was being tested Saturday night at a hospital in England one week after a nerve agent sickened two people thought to have handled a contaminated item from the March attack on a Russian ex-spy and his daughter. Police on Saturday continued extensive forensic searches for the source of the lethal nerve agent that poisoned 44-year-old Dawn Sturgess and 45-year-old Charley Rowley. Officials think they had secondary exposure to the chemical weapon used in the attack on the Skripals.